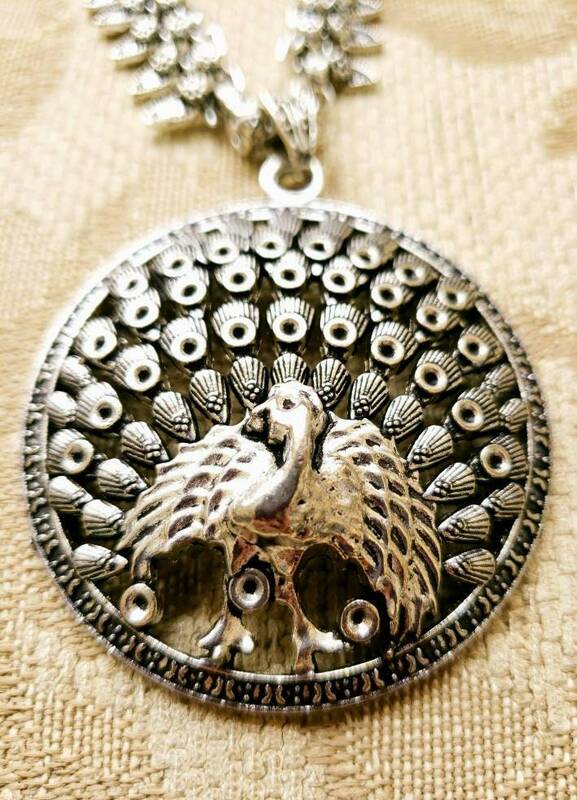 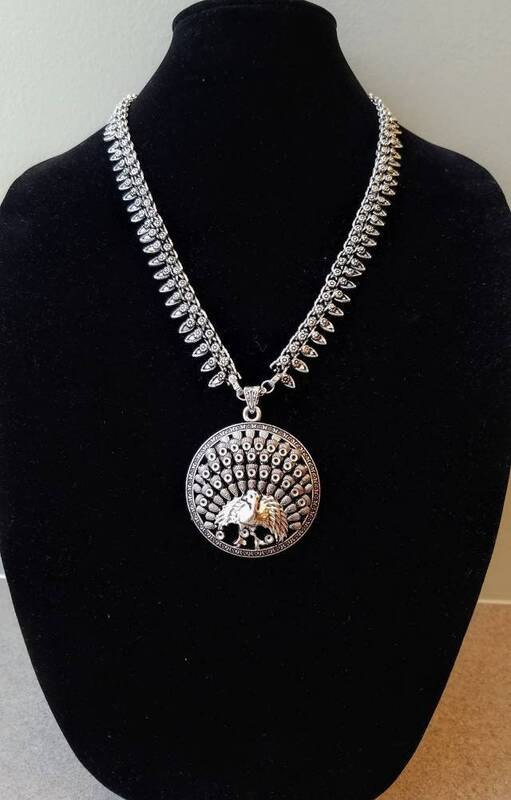 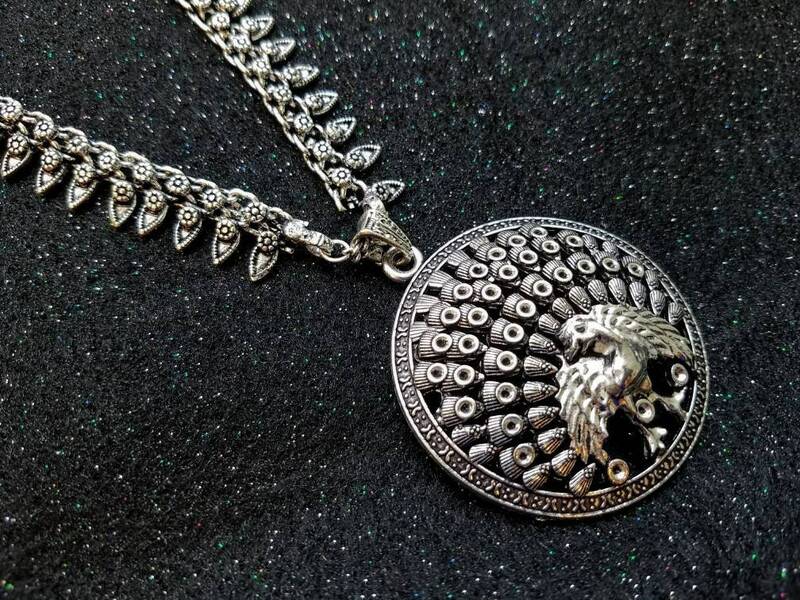 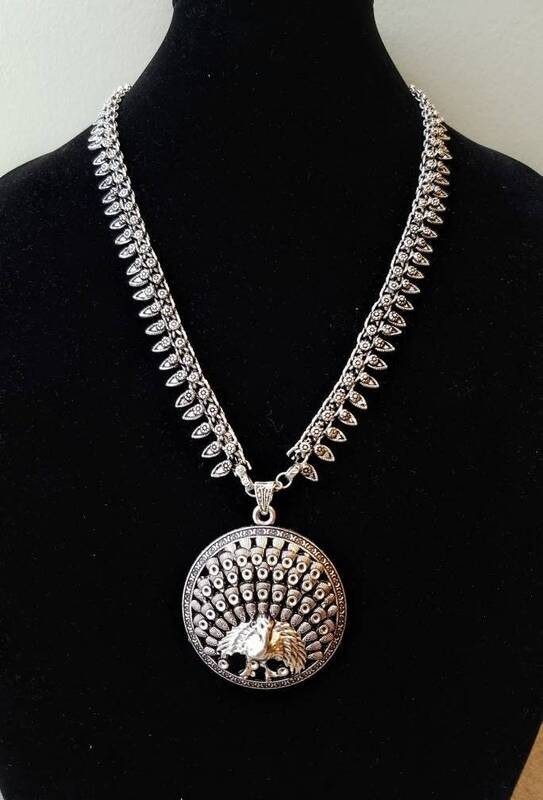 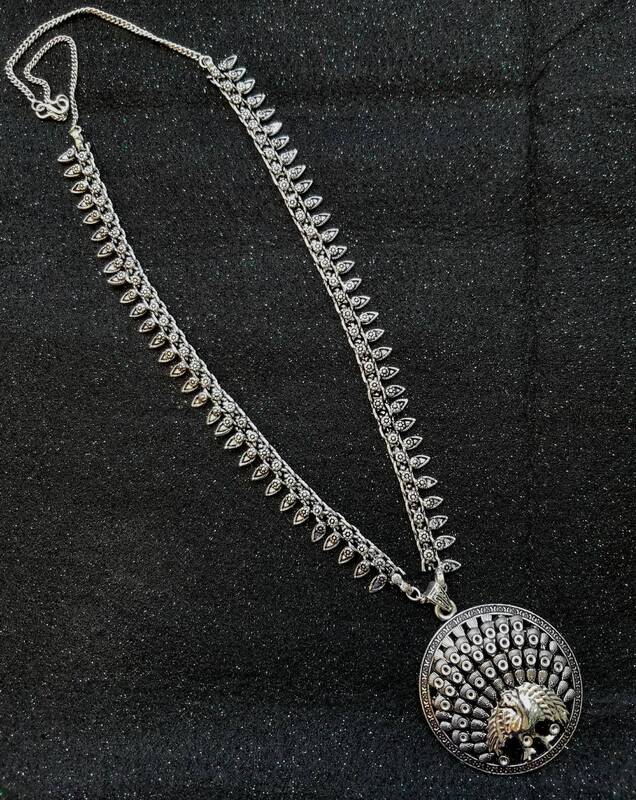 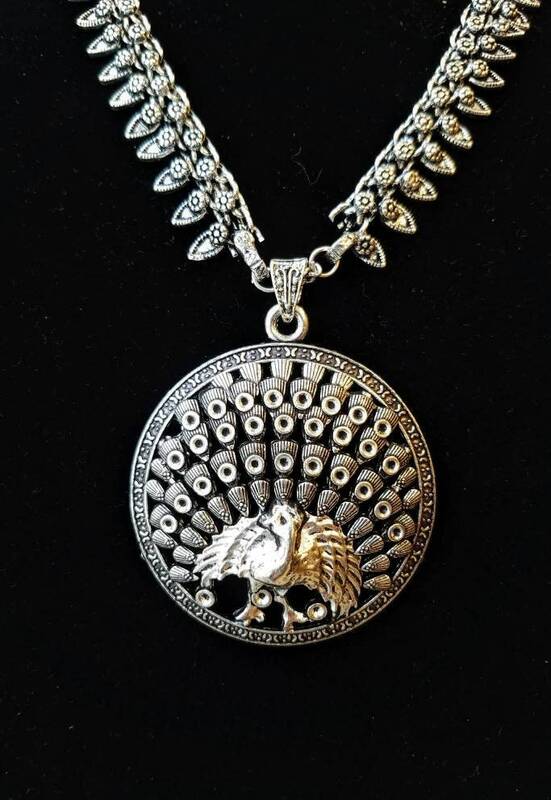 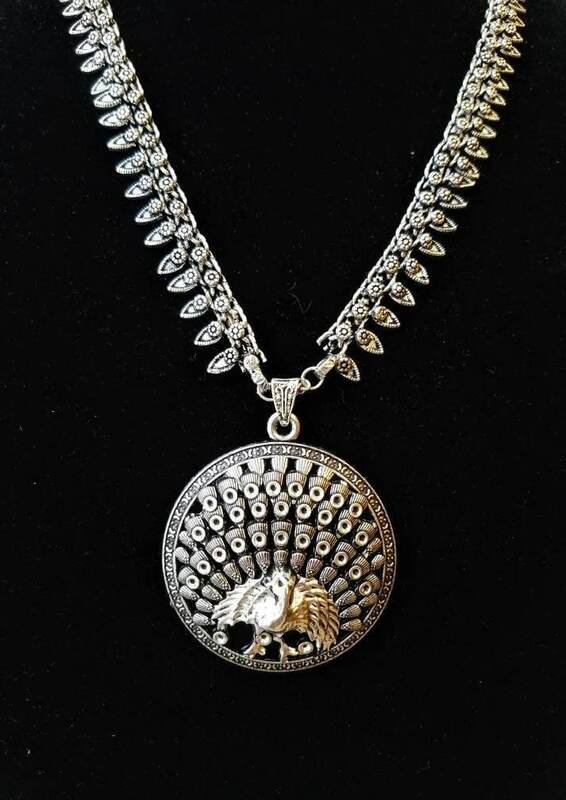 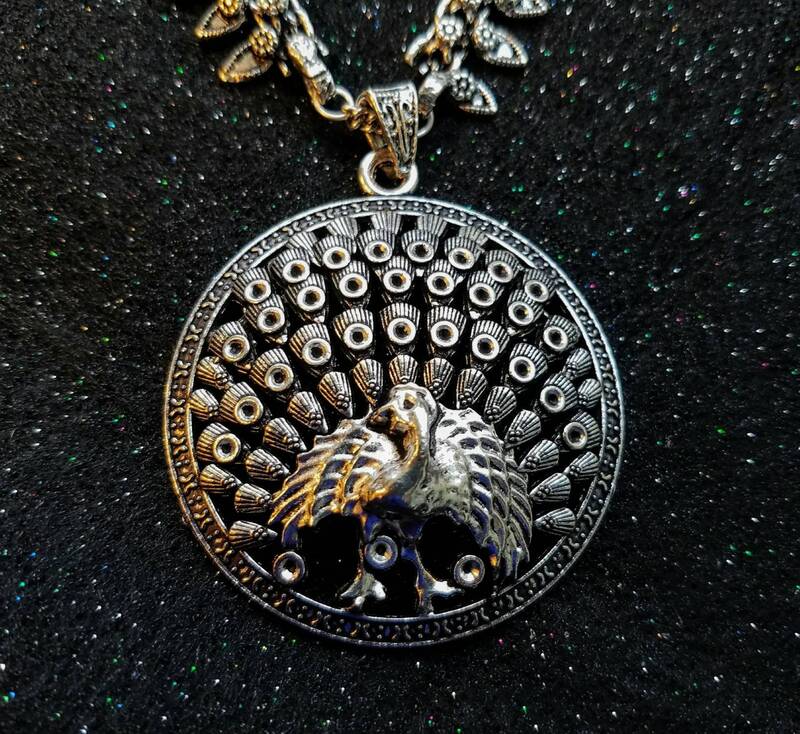 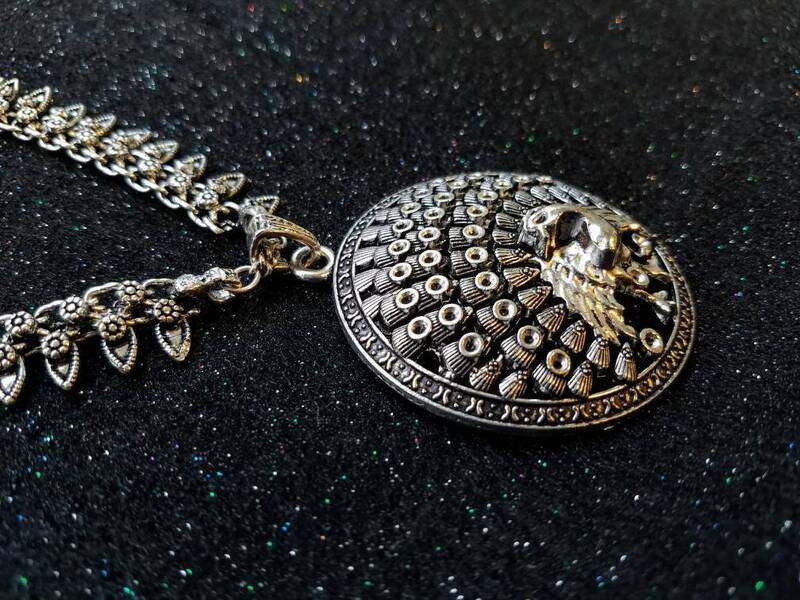 Circle pendant of detailed peacock fanning its tail, in oxidized silver so as to create the patina of a vintage piece. 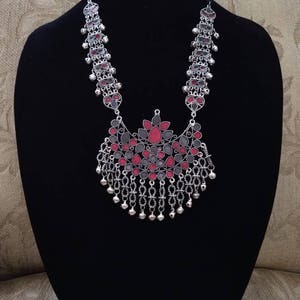 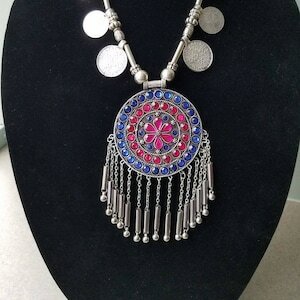 Detailed and beautiful chain, flexible, so it fits you well. 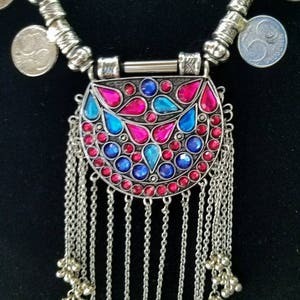 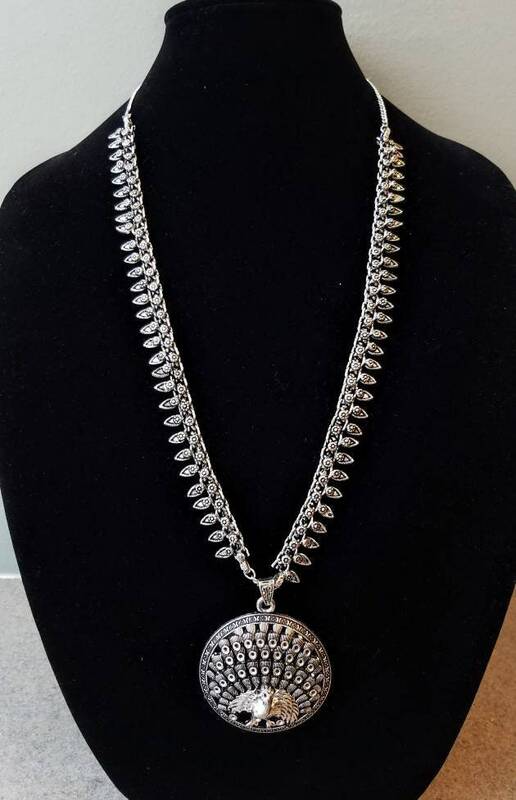 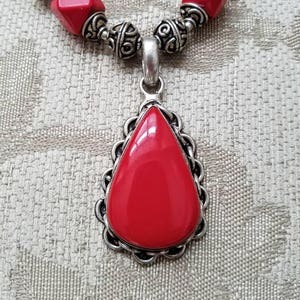 Very eye catching and unique pendant!